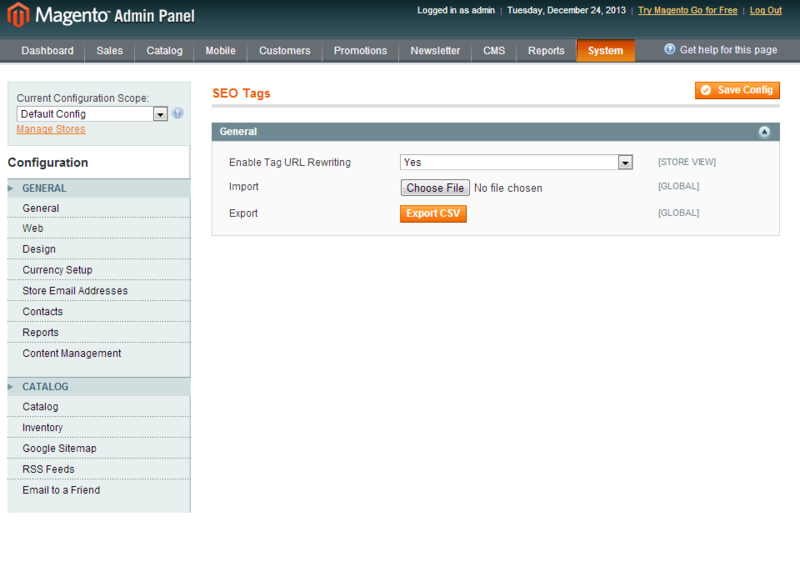 Take your product tags over control by quickly adding them in bulk to your admin panel. Easily create SEO-friendly URLs and draw massive traffic to your online store. This extension is also a part of Magento SEO Toolkit. The Import Product Tags module offers a list of brand new features enabling online merchants easily import and export cloud tags as well as create informative SEO- and user-friendly urls. Equipped with the advanced tag manager one can fill store pages with relevant product tags, and create clear urls to win Google’s appreciation. 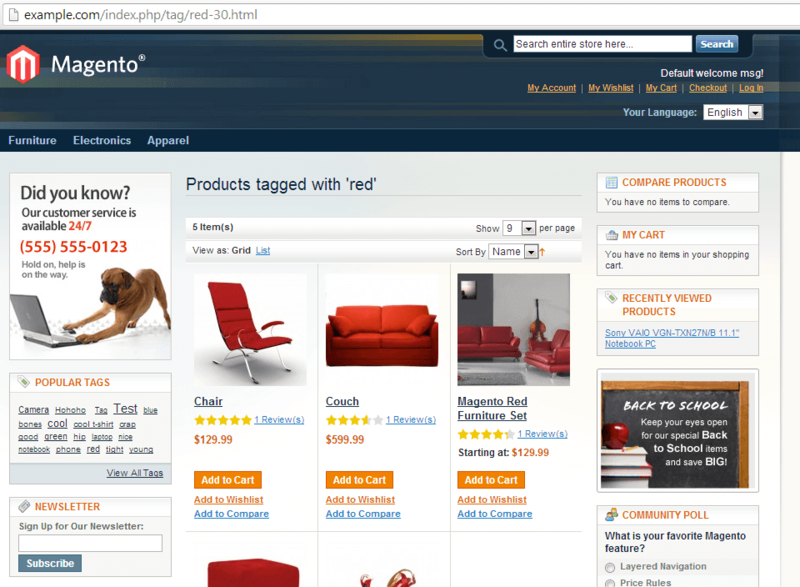 Default Magento functionality doesn’t allow admin users to add new product tags to the tag cloud themselves. They can only moderate the ones offered by customers. Import Product Tags enables admin to easily import and export the list of all necessary Magento product tags in CSV format just in a few clicks. 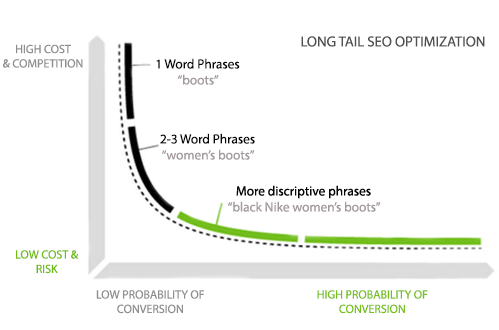 Now, using appropriate tags, you can optimize your pages for long tail search requests, thus visibly boosting your site traffic. Short, but comprehensive urls make your online store attractive not only to customers, but to search engines as well. Due to this Magento tags manager it’s possible to create pretty short urls containing just relevant info that is easy to perceive and to share with others. Moreover, you’ll significantly improve your SEO rankings by generating urls, corresponding to popular search requests. SEO optimization is not just about top positions in search results. It’s also about SEO-friendly navigation, attractive short urls, relevant Magento tags and many other aspects. That’s why SEO activities presuppose a rich set of additional tools to be installed. Managing product tags with the help of this module is just a piece of cake. All I needed to get a huge work done was simply a CSV file. I’m running a multistore with multi language option; so when it came to adding tags for all store views, I‘ve just exported tags from one store - translated them - and imported to another store. Nice and simple. Totally recommend the tool. 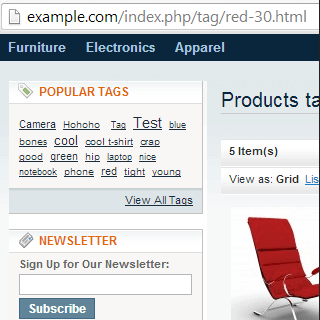 The main idea of tags is to organize products better and improve customer navigation. Every so often I revise all product tags, change some of them, add synonyms or translations. I’m trying to make the store more seo-friendly and user-oriented each time I review the tags. 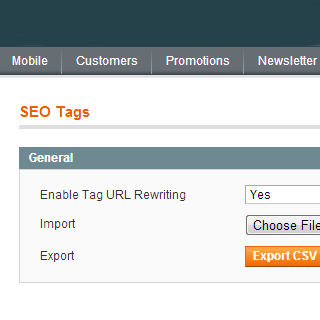 Sticking to this approach was quite time-consuming, before I have found the tool to manage tags properly. Just 4 stars because the installation wasn’t smooth and gave me a couple of tough hours. I bought this extension a week ago, it works very well for my magento 1.9.2.4. It really makes the product tags url seo friendly now. I found this addon via Google search and must ad mit that it's a cool thing - I can add product tags manually! Yes, it really works, and I hope due to this feature visitors will be able to find relevant products much faster. The installation passed without any issues, besides I liked quick work of support guys who helped me to configure the extension.